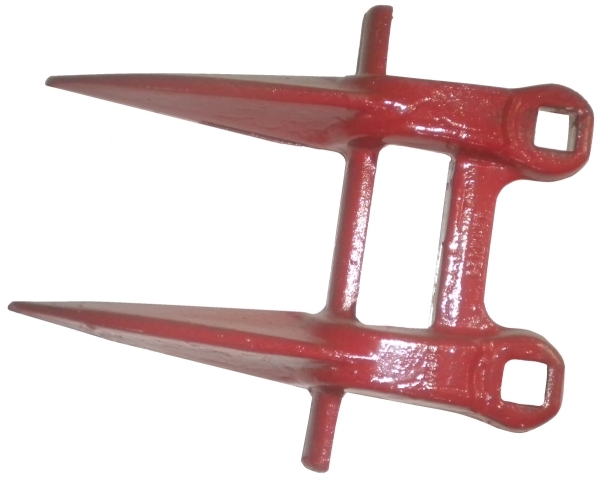 Forged Steel, Double Heat-Treated Guard. Fits Mowers/ Windrowers for N.H., M.F., White & Hesston. Replaces N.H. 219191, MF 683476M1 & 683184M1, White 895744L, Hesston 049239/049270 & Macdon 23064. Packaged 25 per box. 825 per pallet.